Architect Dean Andricsak, the company's owner, considers each project a partnership between the client and himself; he is personally involved in every step of the process from the initial client interview through construction. Trust and transparency are intrinsic to every working relationship Dean holds. We work predominantly on a fixed-rate basis to ensure that projects are completed in a timely fashion as well as at the price the client initially chooses to invest. We are licensed in the states of New Jersey, Pennsylvania, Virginia, Florida, and New York, and are a member of the American Institute of Architects (AIA) as well as the National Council of Architectural Registration Boards (NCARB). Our office is located in Pluckemin, Somerset County, New Jersey. Our work can be seen all over New Jersey including but not limited to Mendham, Far Hills, Gladstone, Rumson, Ridgewood, Sparta, Bridgewater, and Short Hills, as well as in Pennsylvania and New York City. D2A is willing to obtain additional architectural licenses in any of the remaining states in the U.S. should your project require it. It was a very efficient process. Dean listened to my “wish list” and designed a seamless renovation that gave the house a new identity that fit perfectly into the neighborhood. Just as I had requested, the architectural features of the home disguised its overall height and presented a very inviting façade. His knowledge of construction costs and respect for my budget helped us along the way in determining final material selections without compromising our original vision. Dean was a true pleasure to work with. His design skills and professionalism far surpassed our expectations. It’s rare to work with someone who has both talent and exceptional communication style. Without reservation, we would highly recommend D2A Architecture and Design. Dean has the unique ability to listen to what his client wants and turn it into something beyond what they imagined. His creative attention to details whether it be moldings or fireplace design, etc, made our dream home that much more special. Our home was a big project and certainly an overwhelming prospect at times. Dean was the steady, calming partner that helped us to realize our vision one day at a time. 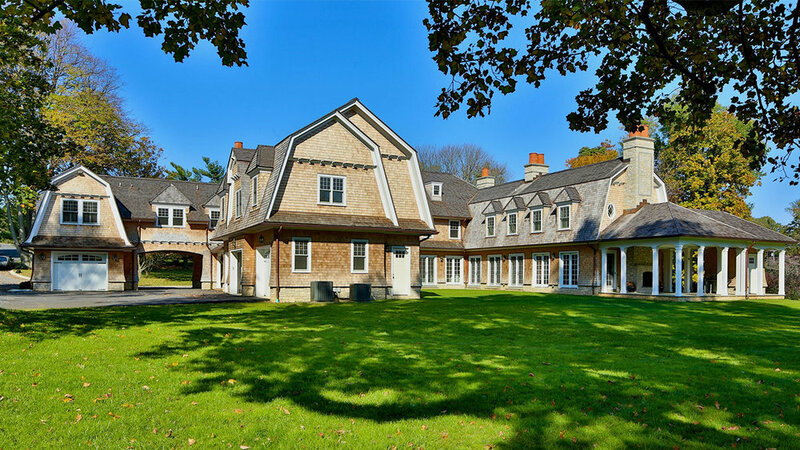 Our new home in Monmouth County was the very first project in our area for North Jersey architect Dean Andricsak. We are grateful he made his stamp here with us. We were first time home builders with a vision and Dean went above and beyond to realize that vision for us. Dean tirelessly commuted to our home for late evening meetings, took the time to get to know us well and spent hours on site to ensure he took advantage of everything our property had to offer. He worked and reworked our plans in a meticulous fashion delivering a design of impeccable taste and quality. Not only was Dean patient and attentive, he thought outside the box and took us down avenues that led to some of the most beautiful and detailed parts of our home. Dean worked in tandem with our construction crew to ensure the integrity of the project from the beginning to the end. A perfectionist in every way, we gladly recommended Dean Andricsak to some our closest friends who are hunting for an architect. We recommended him with absolute confidence and yes, they hired him. Thank you for bringing our dreams to life. For years my husband, Paul and I, shared numerous discussions on improving our home. We were totally at a loss as to how to unify our ideas, deal with site difficulties, and make our house esthetically pleasing. Your conceptual renderings gave us hope, and a belief that not only was it possible, but highly desirable to proceed. When we saw our house through your eyes our ideas began to solidify. Working with the existing look of our 1960’s dwelling you saw space and light we never thought possible. We established a modest budget for the project, which you embraced willingly, and began the designs for our future. Your expertise uncovered and resolved all the engineering and structural issues necessary to achieve the desired outcome. We had no idea of the challenges inherent to modifying the original cantilevered design of our modest, middle aged home. Every day I awake in the “new and improved” version of our home and thank you for all your considerable talents. Renovation is a long and arduous road. Your guidance and vision were absolutely indispensable on the journey. Thank you Dean, we couldn’t have done it without you. Future commissions are already on the horizon for #14. No pun intended. We are so fortunate and happy to have worked with D2A Architecture. When we bought our house in 2005, we knew that it desperately needed a facelift. It offered us the roominess that our family wanted but it lacked charm, curb appeal and texture. After several years, we were finally in a position to begin the project. When we first met with Dean, we discussed the general feel that we were looking for in our home and a few different general ideas for the front of our house. It was important to us that we achieve our goals in a cost effective manner. Dean listened to our objectives and got a sense as to the general direction that we wanted to go. Based on our general inputs, he created a detailed design that turned our generic house into a home with warmth, charm and tons of curb appeal. And equally as important, Dean’s design stayed within our financial guidelines. Dean is creative, patient and was responsive and helpful throughout the entire design and construction process. In short, working with Dean and D2A Architecture and Design, has been a fantastic experience. We are now working with him on project #2 ! At D2A Architecture and Design, we know the value of a great referral and aligning oneself with other professionals that take pride in their work. We have worked with many of the different industries listed below. This list continues to grow so please give us a call for an informative referral you can trust.